The bigger half of the long running team with Averno, Mephisto spent the entire time under that stretch as a rudo. He's considered talented, but just behind his partner. 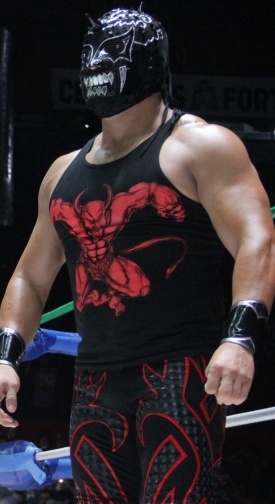 Before being reborn as Mephisto, wrestled in CMLL undercards as Astro Rey Jr. on both the tecnico and rudo sides. 1999/10/12 Arena Coliseo Astro Rey Jr. beat Valentin Mayo to retain his Mexican National Welterweight Title. This page was last edited on 16 August 2018, at 20:03.